An official photomontage showing the view of some of the proposed apartment blocks from the Gżira promenade, with the original 1999 plans superimposed (faded). The Planning Authority on Thursday approved Midi's planned mega-development on Manoel Island, amid concerns from NGOs and Gżira residents. The plans feature an extensive residential and commercial complex, including 600 apartments, a hotel at the historic Lazaretto, retail outlets, a yacht marina, streets and plazas. The developers are promising the restoration of several heritage buildings and 80,000 square metres of new parks and family areas around Fort Manoel, which will itself comprise galleries, museums, shops, restaurants after earlier plans for a hotel at the fort were dropped. Thirteen board members voted in favour and one against. NGO representative Annick Bonello voted against, citing the environmental NGOs’ concerns, while Labour, Nationalist Party and Gżira local council representatives all voted in favour. Board members stressed that the plans under consideration were an improvement on the original 1999 masterplan, which remained valid and which Midi still had the right to develop if the current plans were rejected. The board also confirmed that 8,000 square metres of development space removed from the plans would be transferred to Midi's development at Tigné, with no increase in building space allowed at Manoel island. Gżira mayor Conrad Borg Manché, once a staunch critic of the project, told Times of Malta after the hearing that while, like residents, he would have preferred to see a public park, his approach had been limited by the legal rights Midi had to the development. The approved plans, he said, were an improvement and included several important changes secured through the guardianship agreement signed between Midi and the local council, including the use of the fort as a cultural centre instead of a hotel, the preservation of swimming zones, and the limitation of building heights. “It’s important for people to understand the full perspective,” he said. The hearing followed an earlier one in December where a decision was put off as the board sought more information on building heights and the differences to the earlier plans. Midi’s architects presented photomontages on Thursday which they said showed that the new plans represented a reduction in built-up footprint over the 1999 masterplan, increased open spaces, and improved the building profile to better respect the island’s context. The developers also committed to incorporating a slipway for small boat owners, after complaints by the local fishing community. Architect Carmel Cacopardo, representing objectors, challenged the legal basis for the changes to the masterplan, arguing that a planning control application would have been required to change the local plan, by which the original plans have been kept alive. 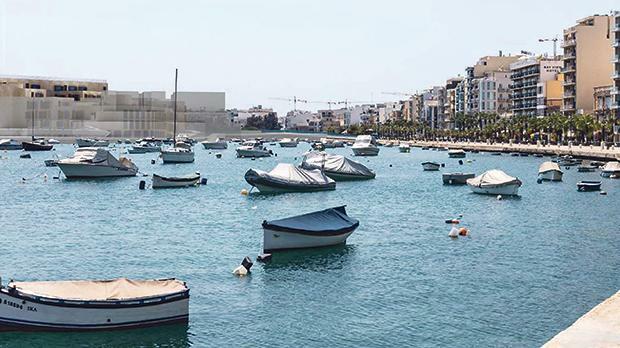 Sliema local councillor Michael Briguglio slammed the limited social impact assessment for the project, which consisted of a survey of passers-by on the basis of which the authors concluded broad support for the project. Concerns were also raised over the loss of open views and the discovery of archaeological remains which objectors say could be impacted by the construction of new bridges. The remains still have to be considered by the Superintendence for Cultural Heritage, although the developers said they would abide by any conditions the watchdog imposed for the final plans. In a packed and occasionally heated hearing, residents also reiterated concerns over the loss of parts of the Gżira promenade and open spaces. More than 6,000 people had signed a public petition in recent weeks calling on the government to turn Manoel Island into a wooded park with heritage buildings and save the iconic views from Gżira and Ta’ Xbiex. Spearheaded by new residents’ group Inħobbu l-Gżira (We love Gżira), the campaign called for a complete scrapping of a project that has been on the cards since the granting of a concession to Midi in 2000 but which residents say will lower the quality of life of thousands for the benefit of a few. Meanwhile, a guardianship agreement signed between Midi and the Gżira council, ending months of hostility over public access and a widely-slated first draft master plan, seeks instead to hold the developers to its key pledges if the project is approved. Under the agreement, a jointly-set up foundation will be able to take the developers to court if they alter building heights, build up any part of a promised public park surrounding Fort Manoel or go back on other aspects of the agreement. “We have to seek some kind of guarantee and permanence to the status of Manoel Island, its green areas, its swimming areas and the use of the fort as a cultural centre,” Manoel Island Foundation chairwoman Claire Bonello told the Times of Malta. “As a foundation, we have worked to find a legal way to guarantee permanent public access to Manoel Island. If there are other people who have a different approach, I welcome that,” Dr Bonello said, stressing the uniqueness of the agreement’s enforcement mechanism. Continued concerns from residents and environmental groups have centred on the height of the planned apartment blocks closest to the island entry-way, which objectors say are oversized and will obscure important vistas. Residents have also lamented the loss of a part of the Gżira promenade to accommodate new bridges, one of which will be reserved for pedestrians and cyclists to access the largely vehicle-free island, and the narrowing of the current sea channel. The Environment and Resources Authority had not objected to the plans, although an impact assessment warned of significant negative effects during the eight-year construction phase. 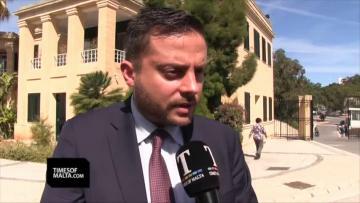 The Democratic Party condemned the PA's decision and the fact that both the PL and the PN had voted in favour. It said the island would be overdeveloped, views from Gżira would be ruined and Gżira creek would be narrowed by land reclamation.